Two new VIP tours are available at Walt Disney World – one for thrill seekers and one for families with young kids. 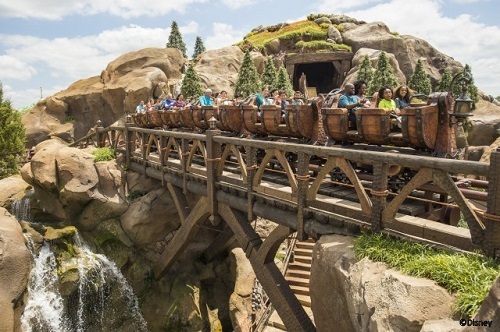 ‘The Ultimate Day of Thrills: A VIP Tour Experience’ runs for six or seven hours and includes the chance to ride attractions at the Magic Kingdom, Disney’s Hollywood Studios, and Disney’s Animal Kingdom in addition to lunch at a table service location. Attractions include the Ultimate Day of Thrills include Toy Story Midway Mania, Expedition Everest, and the Seven Dwarfs Mine Train. Meanwhile, ‘The Ultimate Day for Young Families: A VIP Tour Experience,’ is a bit more low-key. This tour also lasts for six or seven horus and includes attractions that are specifically aimed at young children. Lunch at a table service dining location is also included. Guests can book these VIP tours on Tuesdays, Fridays, and Sundays and the cost is $299 per person. Disney Vacation Club members, Disney Visa cardholders, and Annual Passholders receive a 15 percent discount on the price. Theme park admission is not included in the price and guests must purchase a Magic Your Way Park Hopper ticket to take the VIP tours. To book the VIP tours or find out more information, guests can call 407-WDW-TOUR. This entry was posted on Thursday, July 3rd, 2014 at 12:00 pm	and is filed under Dining, Planning, Theme Parks, Tickets. You can follow any responses to this entry through the RSS 2.0 feed. You can leave a response, or trackback from your own site.